Nanskerris is a grade II listed gamekeeper’s cottage owned by the award winning furniture and lighting designer Tom Raffield and transformed with the help of Samuel Winn Ltd into a spacious family home featuring a large timber-frame extension adjoining the original property. 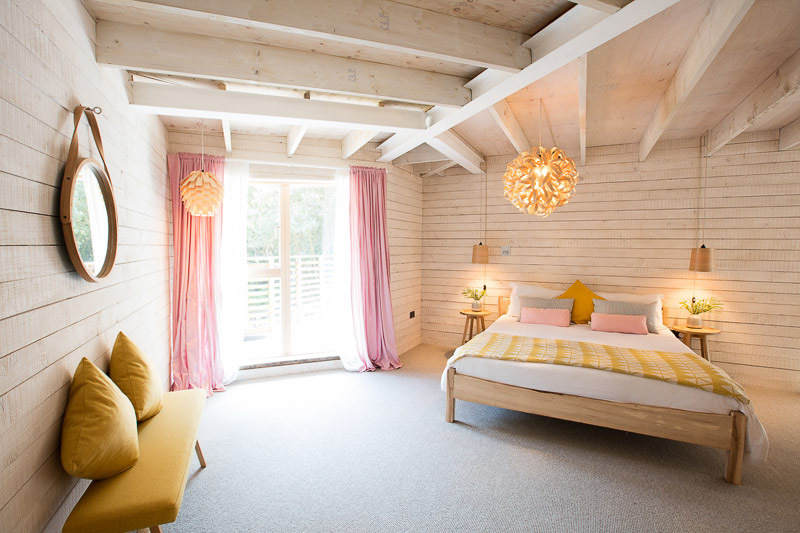 The project, which featured on Grand Designs in October 2016, was hailed by Kevin McCloud on the programme as a “masterpiece”. 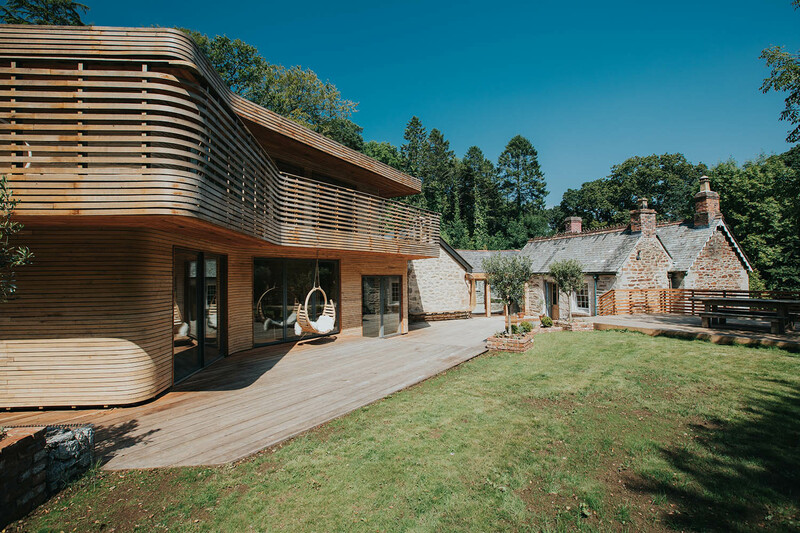 Tom Raffield and his wife Danielle’s dream was to design and build a beautiful, yet low-impact, timber frame extension that would adjoin their small four-room family home and selection of outbuildings in South West Cornwall. 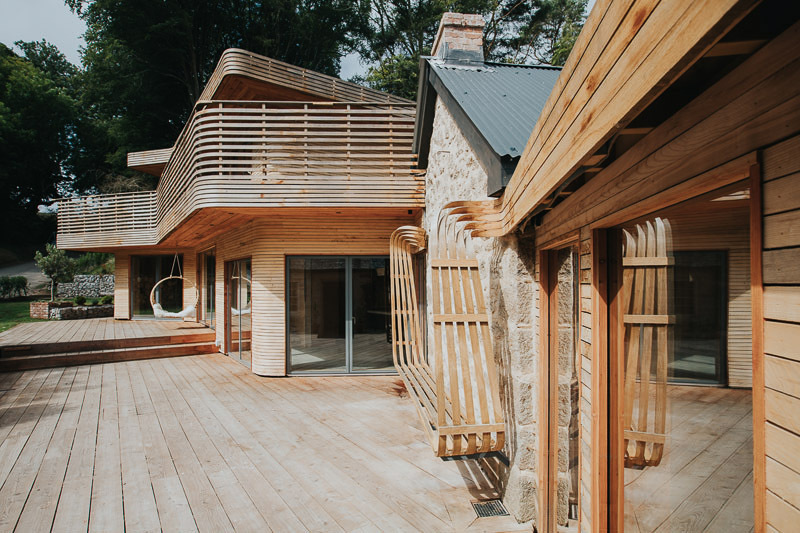 Finished in steam-bent cladding, a signature of Tom’s work, and featuring many of his lighting and furniture designs, the property is a testament to the beauty of the wood used to build it and the designers, builders, tradesmen and craftsmen who worked on the project. Working alongside Tom, the architect Chris Strike from RA Design, and a number of other skilled tradesmen, Samuel Winn’s director, Sam Jones was an integral team member on the project from start to finish and completed much of the work that Tom was unable to undertake himself (a full list of tradesmen and suppliers involved in the project can be found here). 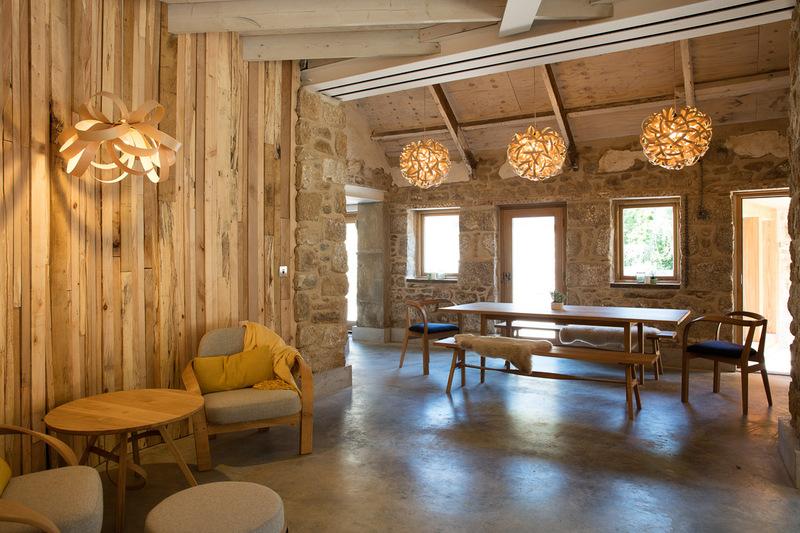 As well as much of the building work, Sam Winn Ltd also crafted the bespoke concrete surfaces, including worktops, splashback and skirting boards, and a stunning timber and glass walkway designed to seamlessly join the granite gamekeeper’s cottage, built in 1882, to the new timber-frame extension. Sam and his team also restored a portion of the listed outbuildings to their former glory, reroofing them in a corrugated steel, sympathetic to the property’s history and purpose. Much of this work featured heavily on the programme, which aired in October 2016 and can still be viewed on More4. 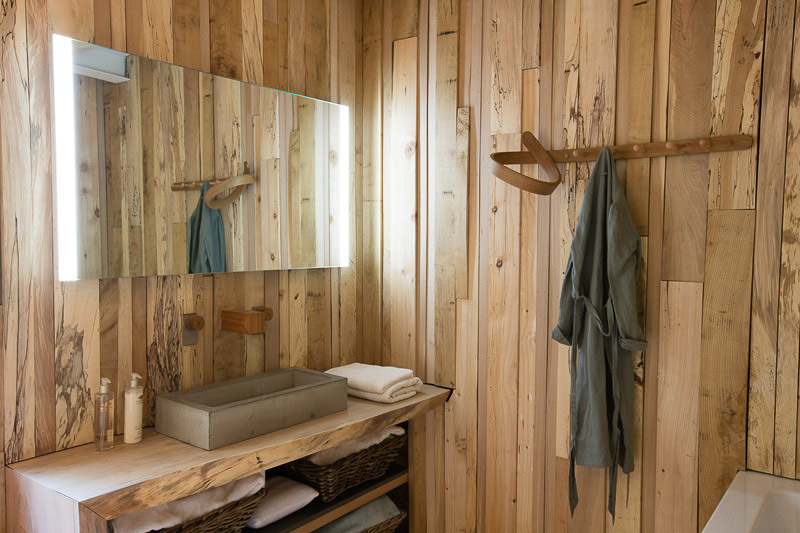 The project, which featured on Grand Designs in October 2016, was hailed by Kevin McCloud on the programme as a “masterpiece”. Tom Raffield and his talented team of craftsmen design and make almost unfathomably curved steambent furniture and lighting from their workshop in Cornwall. Sold in Heal’s and John Lewis his designs can also be viewed and bought at, www.tomraffield.com. 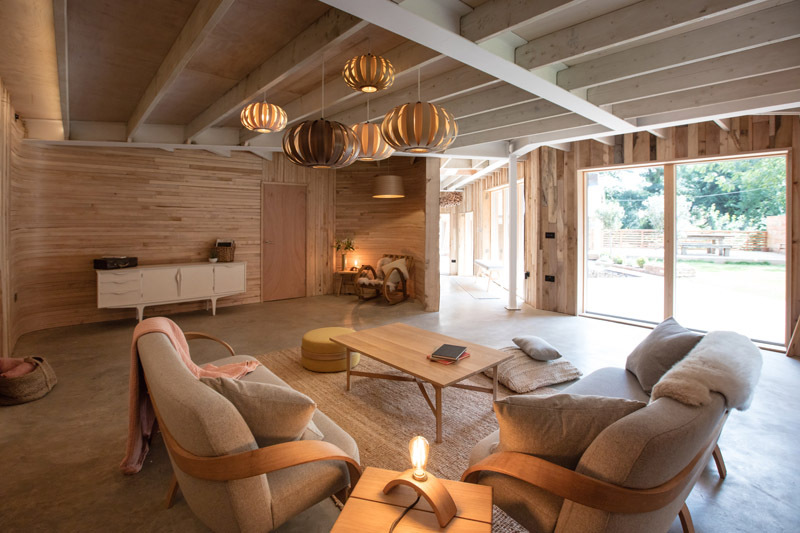 Samuel Winn Ltd are proud to be listed as the main contractor on the Grand Designs project that saw designer Tom Raffield craft his seminal steambent home in his idyllic woodland location. A project that parallels Samuel Winn’s belief in quality craftsmanship and good design. More information about this project and Tom’s work can be sought here: www.tomraffield.com/grand-designs. If you have a similar build you would like to discuss, or would like a like an overview of the work Samuel Winn Ltd can undertake synonymous to this project ,please do not hesitate to get in touch.